Flame: Creative Children's Ministry: Easter Story Pass the Parcel! 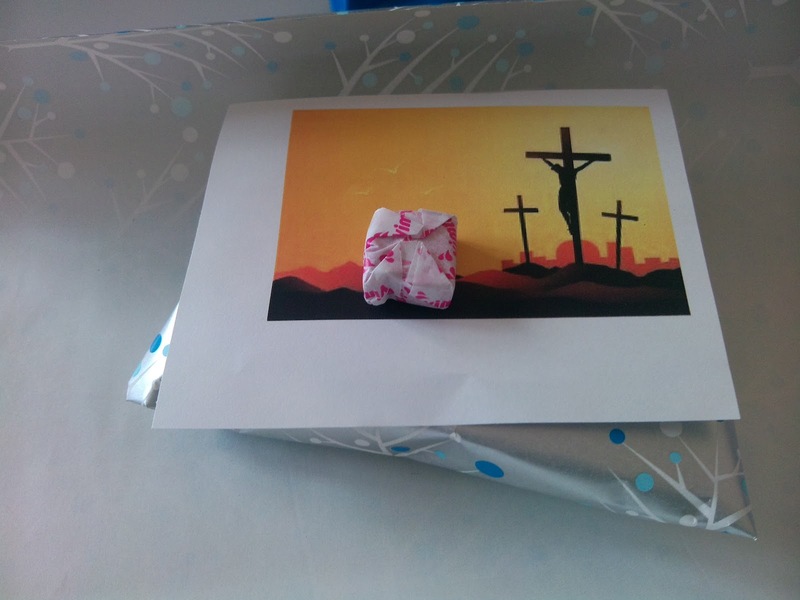 Easter Story Pass the Parcel! 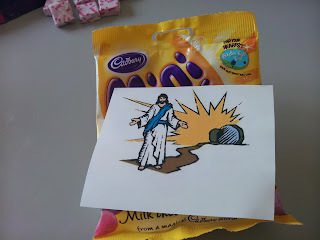 At the centre of the parcel, wrap up a big bag of mini eggs (so there is enough for each child in the group) and the picture of the resurrection. 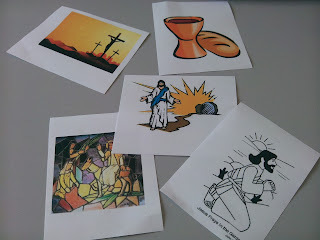 Gethsemane, last supper and the top layer: Palm Sunday. Each layer should also contain a sweet- this is important for later! When you have the finished parcel you can play the game! 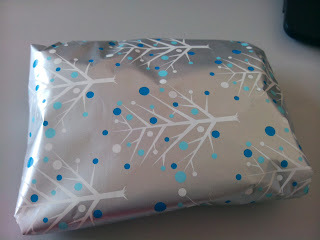 As the music plays, pass the parcel and whoever has it when the music stops unwraps the picture and the sweet. Discuss what the picture shows and start again. As each layer is opened, speak about the next part of the story and the picture. 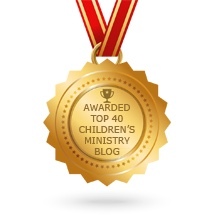 The children might even predict what comes next. After a few layers, the children had started to think that it was unfair that some of them were opening the parcel and getting sweets while others were not, so I made sure that the music stopped on me when we had reached the final layer- I didn't want war breaking out! The final layer will reveal the resurrection picture and the big bag of sweets. Jesus died so that we could be set free from the bad things we've done and the he rose again to show that he was truly God's Son It was amazing!!. He gives us hope and new life and wants everyone to know the good news, not just a few people. Tell the children that, yes, it really wasn't fair that only some children got sweets and others didn't. He wants everyone who knows the good news to share it, and at that point I shared the sweets with the children. Hopefully the point, emphasized by chocolate might stick!